La Palina has expanded their line once again to include the new La Palina Red Label cigar. This new series features a golden Ecuadoran Habano wrapper with fillers coming from Nicaragua and the Dominican Republic. With the new Red Label you will find rich and creamy flavors of cedar wood, barnyard hay, and spice, mingling with a satisfying vanilla sweetness on the finish. La Palina Red Label debuted at the International Premium Cigar and Pipe Retailers (IPCPR) trade show in 2015 and received a well-deserved 92 rating. 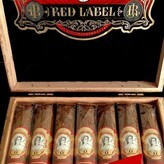 La Palina achieves its goal of creating a mellow, smooth full flavored cigar with the Red Label series of fine cigars. The Red Label is made at the same PDR Cigar factory in Tamboril, Dominican Republic as the La Palina Black and Classic brands. 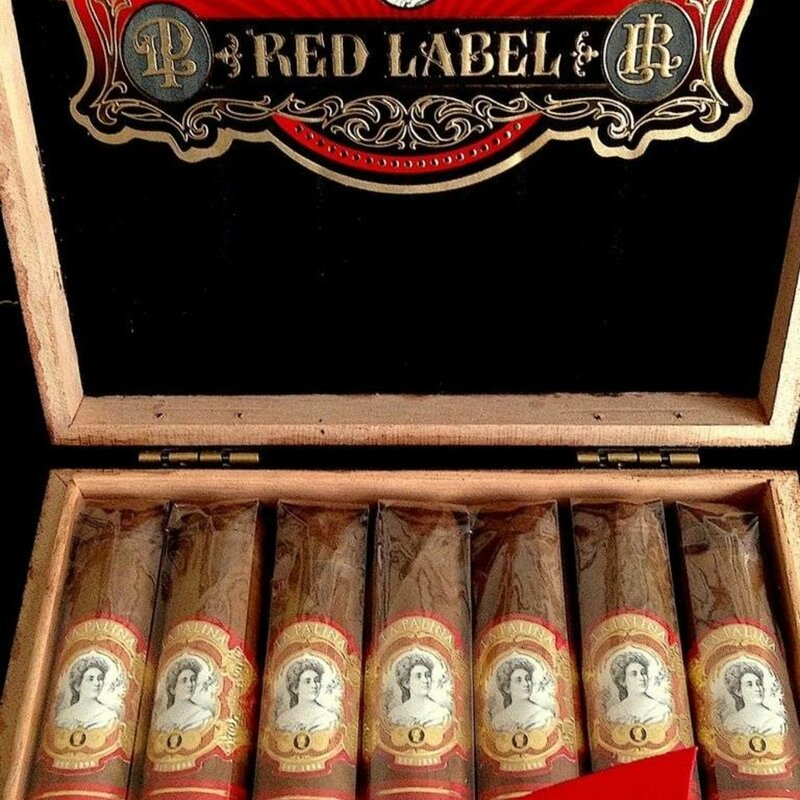 The lighter, medium bodied Red Label series consists of an Ecuadorian binder, and fillers from the Dominican Republic and Nicaragua wrapped in an Ecuadorian Habano wrapper. La Palina Red Label offers complex, mellow flavors of pepper, spice, cream and wood. Scotch pairs well with La Palina Red Label’s spicy profile. In the late 1800s it was common practice to name a cocktail after a Broadway show. The Rob Roy cocktail was named after prolific operetta composer Henry Louis Reginald De Koven’s show loosely based on the national Scottish hero. The Rob Roy cocktail was created in 1894 in honor of the De Koven show by a bartender at the Waldorf Astoria in Manhattan, New York City. Make yourself proud and enjoy a La Palina Red Label with this iconic cocktail. Shake whisky, vermouth, and bitters well with cracked ice, then strain into a chilled cocktail glass and garnish with a twist of lemon or a cherry.